Cement production is an energy-intense activity. In addition to this, large amounts of greenhouse gases are also produced while making cement. There are many eco-friendly substitutes for cement which are made from waste products like fly ash and slag. Fly ash is the by-product of the process when electric power is generated from coal. When iron is produced in blast furnaces, slag is a resultant by-product. These can be used in concrete mixes instead of cement. Fly ash: It is a by-product of burning coal to generate electricity. Large quantities of fly ash were unutilized and sent to landfills instead of using it to make concrete. The only concern in using fly ash is the high carbon content in fly ash of certain quality. Class F fly ash contains significantly more carbon content than Class C.
Slag: The production of iron and steel results in a byproduct called slag. There is more demand than supply for slag. 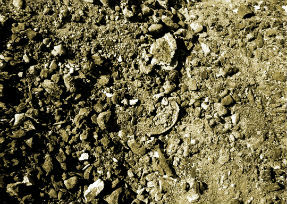 Imported slag ground in plants in the US makes it a less energy efficient substitute than fly ash. However, slag is far better in energy-efficiency than Portland cement. Silica fume: This cheap waste product from the electric arc furnace used in the production of silicon alloys has now become expensive due to high demand. It is used mainly in building bridges and other structures where strength is of prime importance. It is also very hard to handle. Instead of adding the cement substitutes to the raw materials it is more energy efficient to add them to the concrete along with the Portland cement. Cement substitutes should form at least 1/4th of the mixture with Portland cement for better workability. The cement formed is mostly used in precast concrete and aerated autoclaved concrete (AAC) products. Blended cements made with a combination of two or more of these cement substitutes are used to optimize the properties of the concrete that is finally used.